you can decide who gets your assets and in what proportion. if you want a specific gift to go to someone then that can be named in your will. If you have children you can appoint guardians to look after them in the event that there is no one to look after them. If you are an unmarried couple you can provide for your partner as your partner will not be automatically entitled to your assets on your death. If you divorce then you can decide if you want to leave anything to your former spouse. By planning ahead you can avoid paying unnecessary inheritance tax. Why not contact us today to arrange an appointment to discuss how we can assist you in this matter. If there is no will then the estate is administered under the Administration Of Estates Act 1925. This sets out those persons,that are entitled to apply to be an administrator of the deceased’s estate. Anyone that has a right to apply can ask the court to grant letters of Administration. 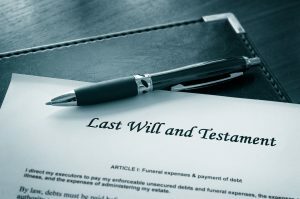 If there is a will then the executor named in the will may apply to the court for a grant of probate. This will enable the administration of the estate in accordance with the will. Contact our probate department today on 0116 253 6856 to discuss any probate mater that you may have. Please see this link for information regarding our fees.